Home » Health » What Is Pleural Effusion? 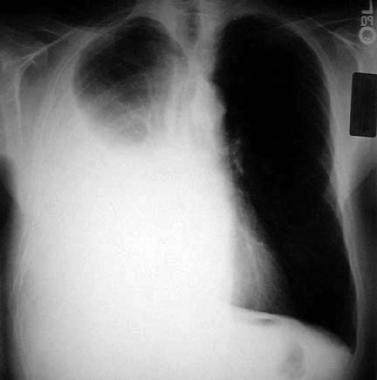 Pleural Effusion is a condition characterized by buildup of fluid between two pleural layers. Pleura is a membrane that separates the lungs from the inner chest wall. The fluid produced by the pleura actually functions as a lubricant that helps smooth the movement of the lungs when breathing. But, when the liquid is excessive and accumulates, it can cause certain symptoms. Symptoms of pelvic effusion include chest pain when pulling and exhaling, coughing, fever, and shortness of breath. Symptoms are usually felt if the pleural effusion has entered the middle to severe level, or inflammation occurs. If the buildup of fluid is still relatively mild, the sufferer will not feel any symptoms. Pleural effusion is generally divided into two, namely transudative and exudative. Transudative pleural effusion is caused by increased pressure in the blood vessels or low levels of protein in the blood. This results in fluid seeping into the pleural layer. While exudative pelvic effusions are caused by inflammation, injury to the lungs, tumors, and blockage of blood vessels or lymph vessels. Cirrhosis or decreased liver function. A number of risk factors can increase a person's risk of suffering from pleural effusion. Among them are having a history of high blood pressure (hypertension), smoking, consuming alcoholic beverages, and being exposed to asbestos dust. The diagnosis of pleural effusion is usually preceded by a simple physical examination using a stethoscope or tapping the chest after previously gathering information from the patient regarding the symptoms that are felt and a history of the disease suffered. If the doctor suspects the patient has pleural effusion, further examination in more detail can be done through a number of scanning procedures, such as chest X-ray, ultrasound, and CT scan of the chest. If a pleural effusion is detected, thoracic action or pleural puncture can be done to check the type of fluid. The action is to take a sample of fluid through a needle inserted into the pleural cavity through between the ribs. Then this pleural fluid is analyzed in the laboratory. Because pleural effusion arises as a complication from other diseases, the treatment that must be done is to cure the conditions that cause it. Examples that can be taken here are cancer treatment with radiotherapy and chemotherapy , or treatment of pneumonia with antibiotics. The procedure for thoracocentesis or pleural puncture in addition to taking pleural fluid samples for analysis can also be used to expel pleural fluid with large volumes. Installation of a special plastic tube (chest tube) for several days into the pleural cavity through a thoracotomy surgery. Long-term catheter placement passes through the skin into the pleural space (pleural drain), for pleural effusions that continue to appear. Injecting irritant substances (eg talk, doxycycline , or bleomycin ) into the pleural space through a special hose to bind both pleural layers, so that the pleural cavity is closed. This procedure, called pleurodesis, is usually applied to prevent pleural effusions that often recur. In addition to procedures that aim to excrete and prevent pleural fluid from accumulating again, a procedure for removing unhealthy or inflamed tissues can also be performed if the impact of damage to the pleural effusion has reached that stage. Removal of this tissue can be done through thoracoscopic surgery (without opening the chest cavity) or thoracotomy (by opening the chest cavity). 0 Response to "What Is Pleural Effusion?"